Representing Bali MMA, Stefer “The Lion” Rahardian, 31, of Jakarta, Indonesia is coming off a loss for the first time in his professional mixed martial arts career. It is unfamiliar territory for him, who began his MMA career with nine consecutive victories and emerging as one of ONE Championship’s top flyweight prospects. In Rahardian’s most recent ONE Champion bout, he yielded to Rene “The Catalan” Catalan, 39, of Iloilo, Philippines. Winning via unanimous decision, the Filipino martial arts veteran broke the Jakarta native’s undefeated record at “ONE: Reign of Kings” in Metro Manila, Philippines on July 27, 2018. By defeating Rahardian, Catalan improved his professional MMA record to 5 wins and 2 losses. 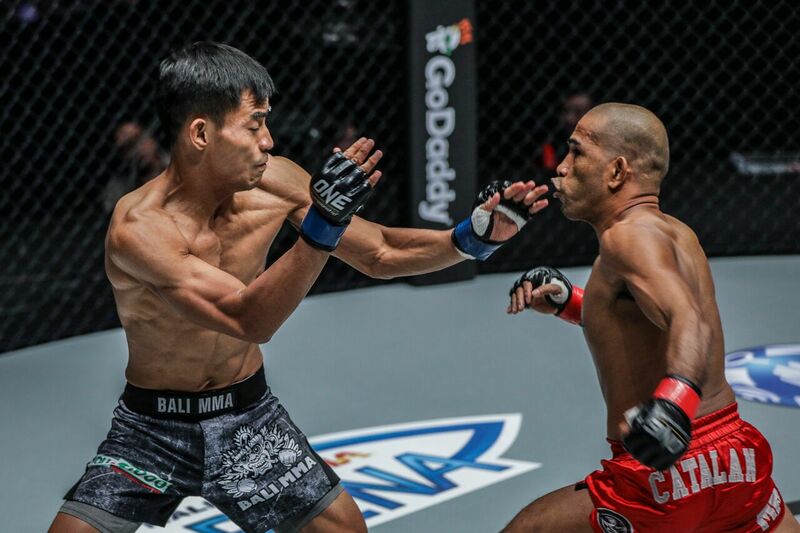 While letting go of an unblemished record is a hard pill to swallow for some competitors, the Bali MMA product is not dwelling too much in his first career defeat. Rahardian is fully aware that striking and aggression was what worked to Catalan’s advantage. The Filipino fighter is a former Asian Games Gold Medalist in Wushu and the founder of Catalan Fighting System. But that is all in the past now for Rahardian. He is now fully focused on what lies ahead of him, which is a showdown with fellow grappler Peng Xue Wen, 22, of China at “ONE: Conquest of Heroes” at the Jakarta Convention Center in Jakarta, Indonesia on September 22, 2018.